It’s that time again! 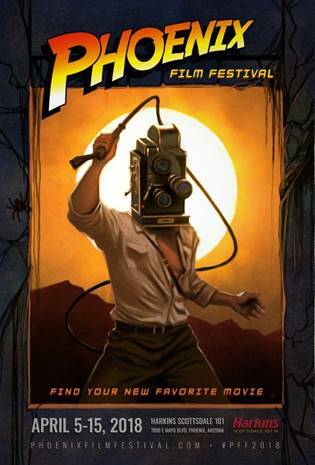 The 18th annual Phoenix Film Festival is coming up on April 5-15 at Harkins Scottsdale 101. And we are giving away a pair of flex passes to the event valued at $40. The Phoenix Film Festival, named one of The 25 Coolest Film Festivals by MovieMaker Magazine, is back for its 18th year! The Festival annually screens over 150 films, holds amazing parties and provides filmmaking seminars. If you are a movie lover, this is an event that is not to be missed! Tickets and passes will be available in early March at www.PhoenixFilmFestival.com. Tickets may also be purchased in person at the Phoenix Film Festival Ticket Center next to the Harkins Scottsdale 101 Theater. Tickets range in price from $13 for a single screening to $300 for a platinum pass.